The tree is up, we've been to visit Santa and the kids are on holiday. 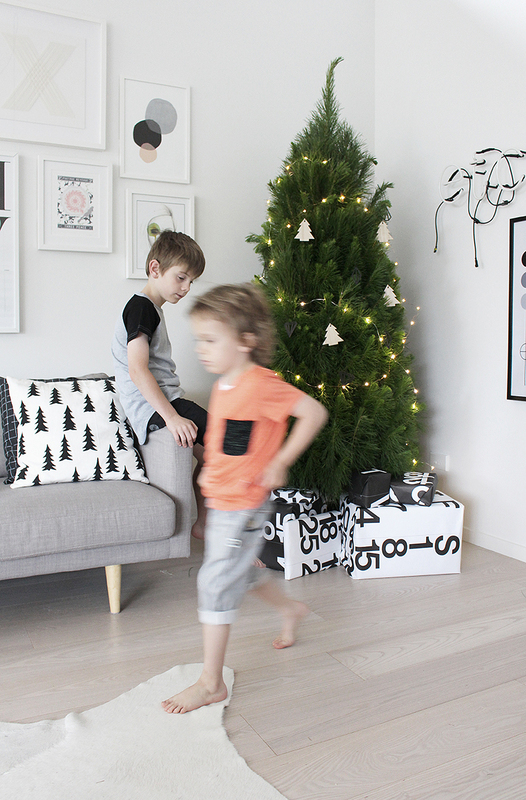 Needless to say with just two sleeps to go until Christmas, the excitement at home is building. I have such fond memories of decorating the tree as a child and love passing on this tradition to my kids. 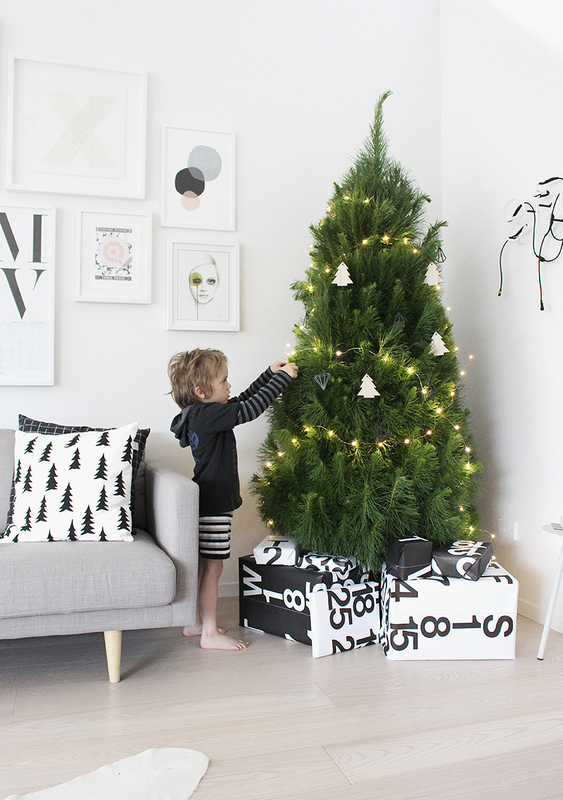 There's nothing like the fresh scent of pine, and I'm loving our simple decorations by Danish brand Bloomingville from Father Rabbit. Fairy Lights add just the right amount of sparkle - we've even put some on our Pohutukawa tree that hangs over our deck this year - and since taking the photos below, the kids have added their home-made decorations that they made at school and kindy. 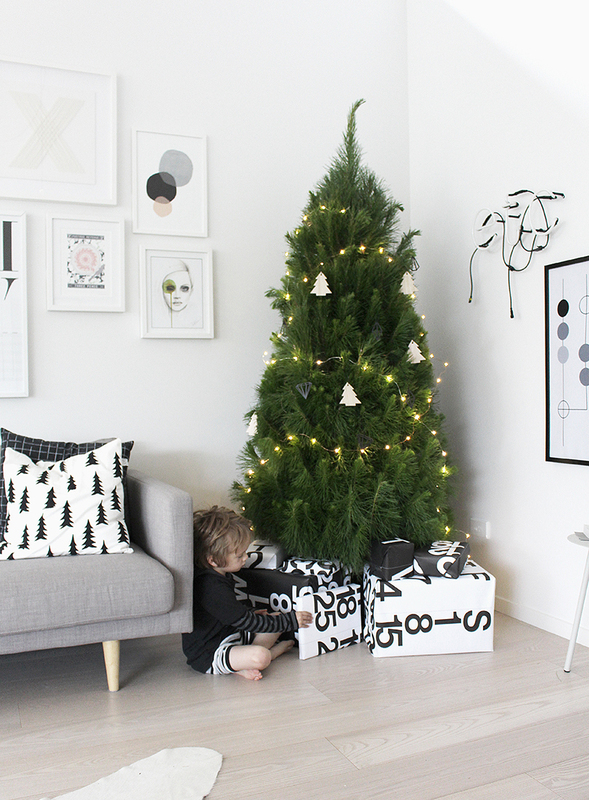 Perfect for wrapping gifts and in keeping with our monochrome palette, the used pages of my 2014 Stendig Calendar have been put to good use this year. It is with much pleasure that I announce the winner of the HAY gift pack from Cult Design today. Congratulations Kellie Pardoe! Wishing everyone a wonderful Christmas and relaxing holiday. For those who will be checking in to the blog, I will be pop back before the end of the year!